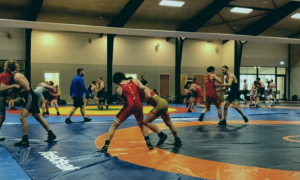 The first stop on the US Greco-Roman March European Tour takes place tomorrow morning at the 15th annual Thor Masters Invitational in Nykøbing Falster, Denmark. Thankfully, American wrestling fans who were hoping to catch the action live can do so via stream. The entire event will be viewable from any desktop, laptop, or mobile device (obviously, a WiFi connection, as always, comes highly recommended). The event begins at 9:30am local time (3:30 am EST). The medal rounds follow at 3pm with the finals an hour later. To view the 2017 Thor Masters Invitational as it takes place, just click on any one of the links below once the tournament starts. You can also follow the event’s Facebook page for live results. 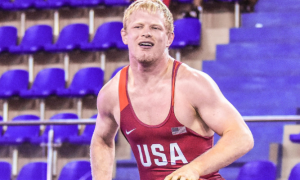 The US Greco-Roman presence at the tournament is going to be heavy. 17 of the country’s best Seniors are participating, including 2016 Olympians Ben Provisor (85 kg, NYAC) and Robby Smith (130 kg, NYAC). Past Olympians Ildar Hafizov (2008 for Uzbekistan, 59 kg, Army/WCAP) and Ellis Coleman (2012, 66 kg, Army/WCAP) will be back in action following last weekend’s Armed Forces Championships. 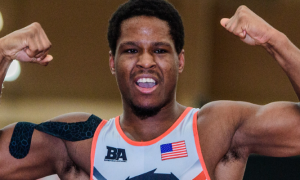 Reigning US National Champs Hayden Tuma (59 kg, Army/WCAP), Patrick Smith (71 kg, Minnesota Storm), Cheney Haight (80 kg, NYAC), Kevin Radford (85 kg, Sunkist), and Toby Erickson (130 kg, NYAC) are on board, as well. This event, along with next weekend’s Grand Prix of Zagreb in Croatia, holds importance. 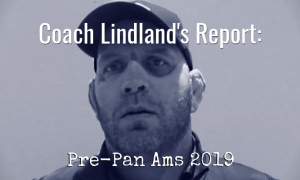 The athletes want to increasingly sharpen up on international competition in advance of the 2017 World Team Trials two months from now. 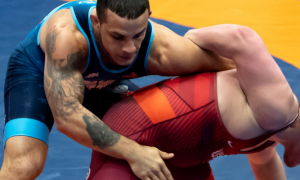 For the wrestlers who go on to represent the United States at the World Championships, these matches could very well be previews of what’s to come. 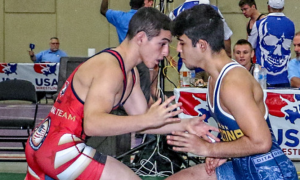 The Thor Masters Invitational is bound to offer several well-known Greco Roman athletes from other nations, so plenty of exciting matches could be in store. We will be covering the event live and provide post-round recaps and analysis, so be sure to stay tuned. 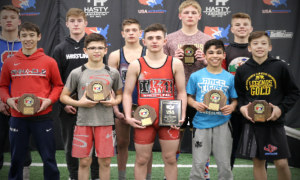 You can find the full US Greco-Roman roster for Thor Masters below.